The film and campaign, created and launched by an award-winning team of former ABC News journalists, delivers a single message: educating girls in developing nations will change the world. New York (TADIAS) – At the Clinton Global Initiative’s Annual Meeting in New York City two years ago, New York Times columnist and author Nicholas Kristof moderated a panel discussion focused on better preparing girls for the world, launching the 10×10 project – a film and social action campaign that highlights the significance of investing in girls and compels people to action. 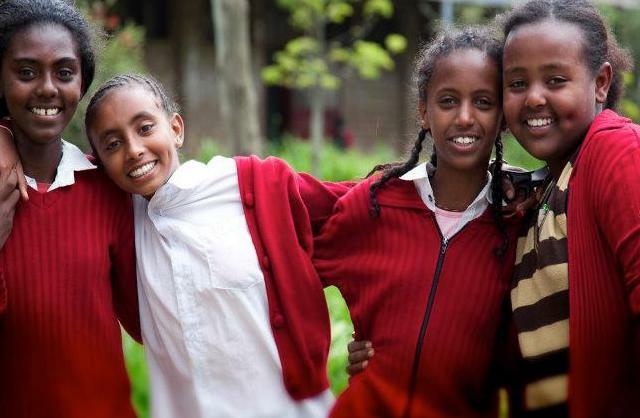 Ethiopia is among the countries featured in the upcoming documentary entitled Girl Rising, which is scheduled for release in Spring 2013. The feature-length film displays the power of access to education in the life of a girl residing in a developing nation; each girl’s story is told by a talented writer from her native country. The script writer for the segment on Ethiopia is Maaza Mengiste, author of the critically acclaimed novel Beneath the Lion’s Gaze. In preparation for the documentary, Maaza spent time with a young girl from a village outside of Bahir Dar. Click here to read our interview with Maaza Mengiste.